Vernadsky, George [Вернадський, Юрій; Vernads’kyj, Jurij], b 20 August 1897 in Saint Petersburg, d 12 June 1972 in New Haven, Connecticut, USA. Historian; son of Volodymyr Vernadsky. He studied in Moscow and Saint Petersburg. 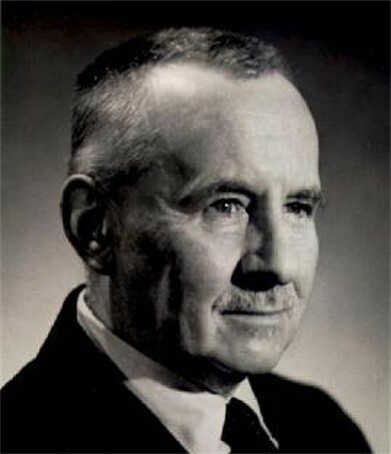 Having emigrated to the United States via Prague (1926–7), he joined the history department at Yale University and was a full professor there in 1946–56. He was instrumental in developing the university's Slavic studies holdings and gained renown as one of the foremost English-language Russian historians. His major achievement was the five-volume History of Russia, which included Ancient Russia (1943), Kievan Russia (1948), The Mongols and Russia (1953), Russia at the Dawn of the Modern Age (1959), and The Tsardom of Moscow (1967). Although of Ukrainian descent and well versed in Ukrainian history, he integrated the history of the Ukrainians into his general scheme of Russian history. His most Ukrainophile work was a biography of Hetman Bohdan Khmelnytsky, Bohdan, Hetman of Ukraine (1941). A festschrift in his honor was published in 1964.